This project has transformed a derelict site into a community resource for all with the development of an orchard of fruit trees and bushes, a garden of flowers and decorative shrubs, along with a wildflower meadow at one end. The orchard is a leisure facility to be enjoyed by everyone, and will also provide an educational resource through informative signage and "Family Days". This transformation has been started by an alliance of Mitcham residents, Merton Council and Sustainable Merton with the support and sponsorship of local businesses, but its long-term success depends upon further business sponsorship and local volunteers. 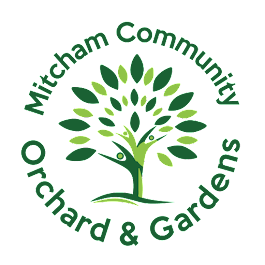 Volunteer here to get involved, input in what fruit and vegetables to grow, learn more about community orchards and gardening and most importantly join your local community.